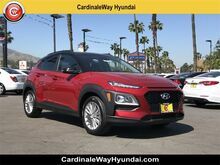 Thank you for stopping by CardinaleWay Hyundai. We are your Corona Hyundai Dealership specializing in new and pre-owned Hyundai vehicles, Hyundai service & Hyundai parts. Our knowledgeable sales staff have been trained and certified to provide amazing customer service. Our Corona Hyundai Dealership has been selling and servicing the Corona area for a long time. Receive a vehicle quote and schedule a service appointment all online! Your Corona Hyundai Dealership sells reliable and fuel efficient cars! Come visit our show room today!